I just had the weirdest space out moment at the start of the show. It must be because I'm so tired. But I was going through my recently updated podcast list and the episode I'd just listened to (Aziz Ansari on Freakanomics -really good) had finished so I was staring at the next new podcast episode to play. Low and behold the voice of Chris Remo comes on talking about Squarespace as I'm staring at an episode of The Witness and I'm just thinking about how great it is that I've found another podcast with Chris on it. Then Jake starts talking and I'm still thinking "Hey cool another podcast with some of the Idle Thumbs people on it" and only when the video games song comes on does it finally click that I'm not listening to The BBC Witness Archive on The Tulia Drug Bust hosted by Chris Remo and Jake Rodkin But a new episode of Idle Thumbs that my iTunes just happened to skip to. This is similar to my time where after listening to an open-ended Thumbs episode, iTunes automatically switched to my Pandora app that played a sponsored message for diapers. This commercial was spoken by a voice actor playing a cultured baby that sounded suspiciously like Chris. I was thinking "Holy crap, those magnificent bastards did it, they got Nature Dipes!" i know the reader mail song is a one-time joke, but it shouldn't be. It should definitely not be a one-off. Also, I'm hoping that when they get to Episode 300, Chris will solicit the readers to sing the response verse "It's Reader Mail!" to be placed en masse after every time Jake sings. The drones with weapons thing has some legs as a comedy video, I bet. Like outfitting drones with things that would inconvenience people in very minor ways. Like knocking their coffee to the floor or touching their shirt with an uncapped pen in a place that no one would really notice--but they'd know it was there and it would bother them all day. I agree about Alphabear's annoying mobile game monetization tactics, but it works for me because I only play it occasionally. He was playing Hungry Shark Evolution in which you can get coins by playing the game or watching ads. Well, this kid decided that instead of playing he'd GRIND THE ADS. My friend stopped him when he realized that he fully intended to watch 300 ads in order to get enough coins for a special shark instead of playing the game. Ugh. Also, the special segment jingles were great! It actually has a 3D printed gun mounted on a drone! Two scary future things in one! Granted it's no CSI but it's close! Kickinthehead: That story is terrifying! I'm annoyed by time wasting ads in most contexts, but I feel serious moral revulsion towards ads that target children. They're way too "effective". I had a 1920x1200 widescreen Sony/SGI CRT for years and I loved it. It was an amazing display. It's color accuracy finally degraded to the point that it was unusable for any actual design or video work so I gave it to someone on Craigslist but that was a fun display to have. It was also HUGE and caused every desk I owned to eventually sag, no matter how nice or thick the desk. I actually managed to get this one new in box (well...it wasn't used...but it was made in 1999 so I don't know if you can call it "new" so much as "unused" or "new old stock" though I managed to scuff it up slightly getting it out of the box). 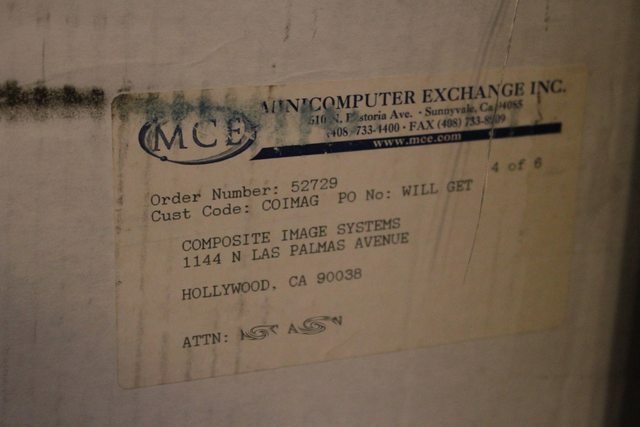 It apparently sat in storage at CIS Hollywood for a few years (it had all the old shipping labels and information on the box...they did a lot of blue screen/green screen work on Star Trek TNG and DS9 back in the 90's, and they still do effects and composting work on newer stuff) and they eventually sold it off along with around 5 others they had in storage I guess. I bought it to replace my identical CRT (same model, GDM 5411) that I bought back in 2008...the fact that I could still find a new one amused me and my old one was getting to a point where I was going to have to replace it in a couple years so I went ahead and bought this one. This desk hasn't managed to sag too much, but this thing is only around 70 or 80 pounds...those 24" widescreen monitors were heavier I think. I think one of my uncles may actually have one of the 1920x1200 widescreen Sony CRTs (FW900 I think) unopened in the box that he bought years back when they were phasing them out because he thought they were cool. I was telling him about the one I just bought a couple months ago and he mentioned the one he had. Yep, this is correct; a few people have pointed it out to me. I was aware of this, and even mentioned it in a previous episode, but for some reason it totally slipped my mind this time, since it had been so long since I actually had any pregnant people in my base. Yeah this is me as well. Like I could grouse about the monetization method in theory, but in practice I just play my 120 energy worth of games (which is like 1 normal game and 1 timed game, plus a boss board if I have enough gems saved up) and then I'm usually good for the day/until everything has recharged. I think there's an in-app purchase that gets rid of the energy mechanic (though your bears are still on cooldowns and you still have to grind gems to do the boss boards). YES, I was trying to figure out what show it was in. I knew a show had a drone mounted with a gun in it. Thought it was either "rizzoli and isles" or "major Crimes". I had forgotten "ïZombie". The reader news tune was adorable. I think, it was Jake's child-like, almost jubilant way he said reader mail. That reader mail jingle better be a permanent fixture. I agree! I like it as a little bumper. I've enjoyed all the recent little musical interjections lately actually, I absolutely loved the Wizard Jam remix! Spaff's impression of how the fallout shelter people were feeling was great, very Eddie Izzard's Death Star Canteen. Recently I've been feeling some motivation to get back into Super Smash Bros Melee. Of course, many of you know that at the competitive level, this game is played on CRT TVs, as it is done at EVO. So since I only had an LCD HDTV at home, I went snooping around to obtain a CRT. I recalled seeing an abandoned CRT somewhere near my apartment, so I tried to look for it. Was it next to the garbage bins? Nope. On the side of the road? Nope. In my laundry room downstairs? Ahah! There it is! So I carry this dusty box back to my unit, and plug things in. There's no remote, but all the buttons still work! Victory! The TV turns on, static. I switch it to video. A black screen. Oops, I forgot to plug in my Wii. So I plug in the AV cords and I'm greeted with the Press A screen. At this point I suspect nothing, but upon pressing A, I realise that the TV is black and white. I boot up Melee, and I'm greeted with characters in varying shades of grey. Red Marth and Green Marth look the same. Orange Fox and Purple Fox also look the same. Well, I guess we won't be playing character dittos on this TV then. 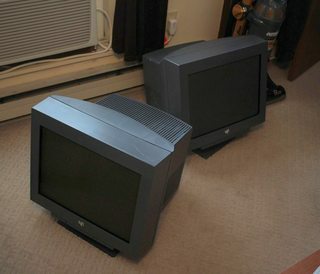 Later I asked on the facebook group for my apartment if anyone had a CRT TV to give, and I got one later that night. It had colour. I realise that the TV is black and white. I boot up Melee, and I'm greeted with characters in varying shades of grey. Red Marth and Green Marth look the same. Orange Fox and Purple Fox also look the same. Well, I guess we won't be playing character dittos on this TV then. You should try and sell the black and white television by claiming it has even less latency than a color TV, that it offers the same benefit as playing Quake without textures. Just listened to this. In regards to the game with gravity-reversing platforming, I'm surprised nobody brought up the NES game Metalstorm! It's three times as fast because it only has to render one channel instead of three! Yup, I bought the infinite energy thing just because I felt like giving the developers money, but in practice my habit with mobile games is I'll only play them briefly like once or twice a day so not much has changed in practice compared to when I hadn't paid anything. So I'd say for people that don't play obsessively Alphabears is absolutely worth checking out. The Fallout Shelter game is the most recent free to play game that I really didn't get along with. I really can't stand the mechanic where resources appear sporadically, and you have to tap on them to actually collect them. I just find that super irritating and wish it was all automated (I disliked Plants vs. Zombies for the same reason). So I basically gave up on Fallout Shelter after about an hour and a half because even though the business model seemed generous enough the actual experience of interacting with the game felt obnoxious to me. I totally agree. In general I was really disappointed with the amount of actual simulation and interactions in Fallout Shelter as well. The mechanics being so potentially time consuming didn't help. For example, if you want to max out happiness you can try and do a rush everytime the rush fail percentage is lowest, and that means checking the game like every 10 minutes. So even though I was glad I could play the game during my underground commute, I ditched it after a week or so. I play a Sega Lords Managementge game with energy as well as free and premium character gashapons, but I play it once in the morning and once in the evening without having to think about it any other time. Edit: Unfortunate word filter. 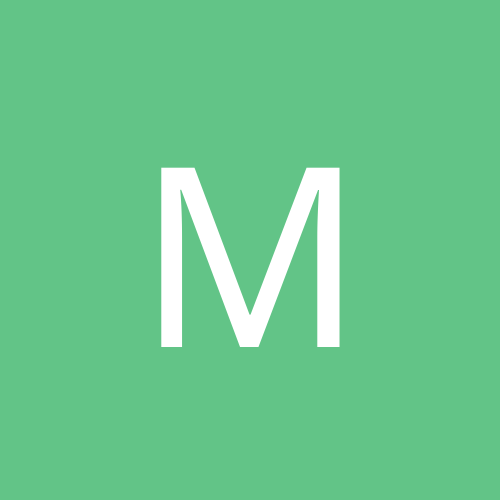 M-o-b-a-g-e, the type of mobile games that are energy and microtransaction based. Good pull! I was so bad at that game, but loved it. And had forgotten about it until now. Thanks! Jeremy Parish wrote a good tribute to that game a few years back. The formatting's kind of borked on that page, unfortunately.